PLEASE NOTE: Our prices on this page are out of date. Please call in if you are interested. The following are available for take-out only. Available in a variety of seasonal flavours. 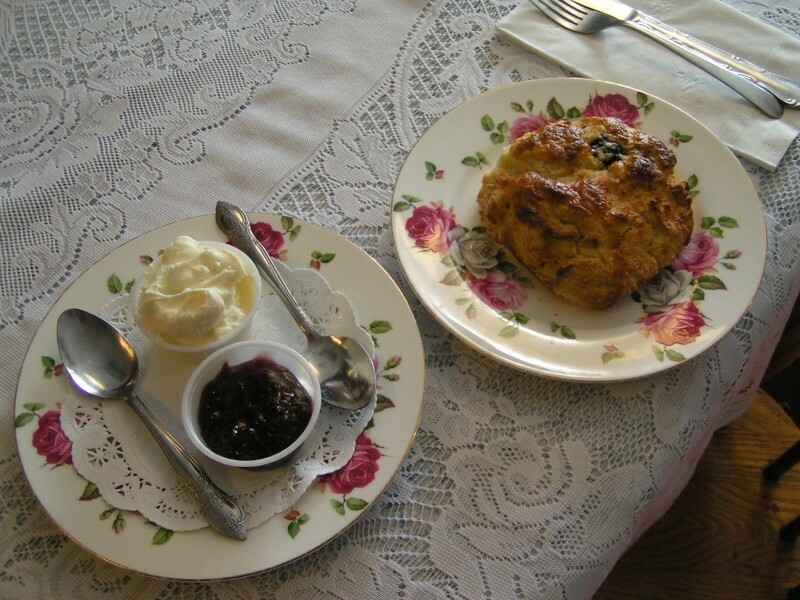 While we always have a selection of freshly baked scones, but for large orders please call in the day before. Regular scones $2.95 each. Mini scones $1.95 each. Best served with clotted cream and strawberry preserve. All of these desserts can be made with any of these combinations: Apple – Dutch Apple – Olde Fashioned Apple – Blueberry – Blackcurrant – Strawberry Peach – Strawberry Banana or Rhubarb – Peach – Mixed Berry – Raspberry with Strawberry, Rhubarb, Pear, or Blackcurrant. Apple-pear with apricot creamcheese custard, topped with toasted Sally Lunn’s bread. An assortment of delicious miniature deserts, fondants, and tarts. Fruit of your choice added to our regular Apple Treacle. An absolutely sinful mix of cheesecake and chocolate. Vanilla sponge, filled with fresh clotted cream, & strawberries. 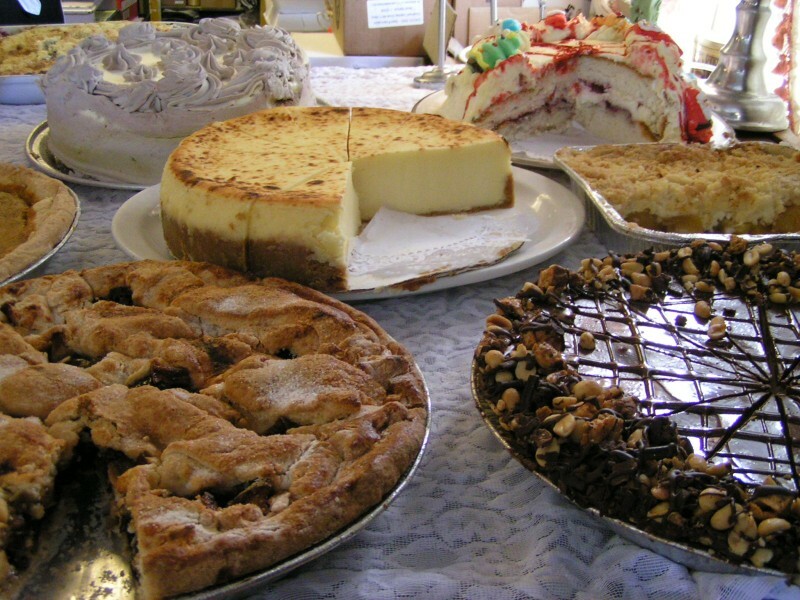 For larger cakes we charge $3.50 per person. Please state clearly if you would like any message written on your cake.